Dominica’s Prime Minister Roosevelt Skerrit says that the small size of islands such as those in the OECS and CARICOM have not traditionally had a competitive advantage, but new political structures are creating opportunities that can aid in the development of the people, as current trends are seeing a shift in foreign policy from the more developed nations. 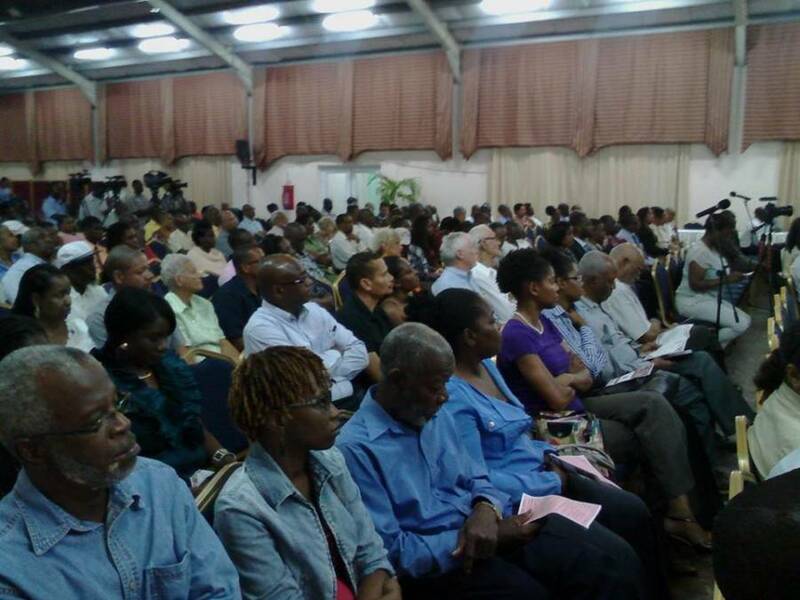 Held at the Trade Centre on Monday night, the lecture was organised by two non-profit organisations whose objective is to educate the nation of Grenada’s revolutionary period. 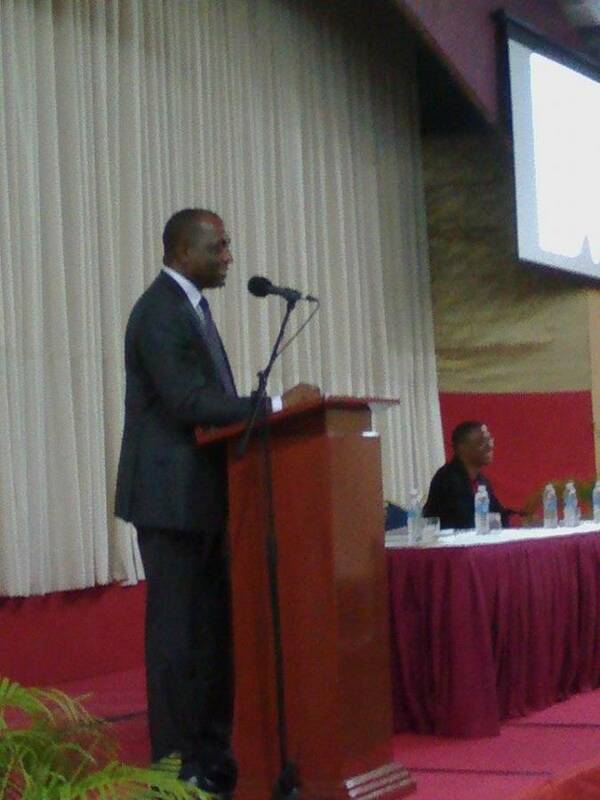 Skerrit told the attendees in attendance with just over 300 persons, that in a very real sense, the establishment of the OECS and CARICOM as communities of sovereign states is the ultimate testimony of how foreign policy may be a clear expression of faith in what can be achieved, while maintaining our independence as nation states in this region. He said that these treaties which leaders have signed in the name of our people must be made living instruments that will make a difference for each national in the region, regardless of which territory one is resident. “Just as Maurice Bishop and the People’s Revolutionary Government understood that their philosophy to develop Grenadians had to be at the centre of their foreign policy, regional leaders must now ensure, that in the most sincere expression of our foreign policy, namely in our regional treaty arrangements, that we keep the needs of our people at the centre of the integration movement,” said Skerrit, whose speech was interjected with quotes from regional leaders, such as the Rt Honourable P J Patterson and George Brizan, who had warned about the impact of globalization of island economies. “It is not an academic exercise — it is, and must always be, about our people and their right to have choices — to taste and enjoy freedom in all its dimensions,” he told the audience, which included former soldiers and other persons in policy and decision-making positions. “In conclusion, the most important lesson we have learnt from the Grenada Revolution is that in the final analysis, it is the philosophy, together with the conviction, commitment and passion of leaders, which make the difference. At this crucial turning point in the history of the Caribbean, we need many such leaders! Let us therefore commit ourselves to internalizing the lessons of the Grenada Revolution,” he said, as the audience welcomed his pronouncement with a standing ovation.